Louis Audemars & Cie was founded in 1811 by Louis-Benjamin Audemars in the hamlet of Le Crêt Meylan near Le Brassus in the Vallée de Joux, Switzerland. Louis-Benjamin and his sons made high quality watch movements and precision “complications” – repeater and chronograph mechanisms. Their creations – mostly entirely hand-made - are considered among the finest the world has ever seen. At that time watchmakers in the region made unbranded movements which they sold to users in Geneva, and indeed all over Europe. There the movements would be fitted with dials and cases – and sold under the brand or name of the purchaser, whether factory or shop. 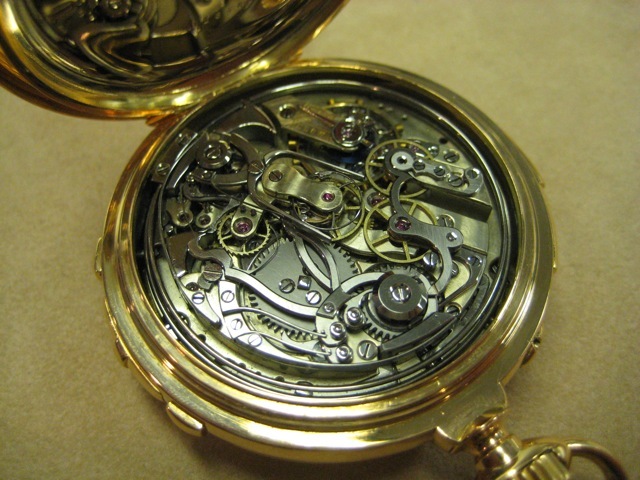 Thus a French-, German-, Russian- or English-made watch of the period might actually contain – and very often did – a movement from the Vallée de Joux. 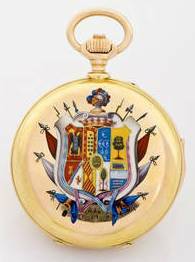 Louis-Benjamin’s ambition was to make complete, cased watches signed with his own name. He never lived to achieve his dream (he died aged 51 in 1833). Herr Hartmut Zantke has written (Germany 2003) an important book about Louis-Benjamin, his sons and their achievements. I was happy to help him with archive material and with translation into English of most of the German text. 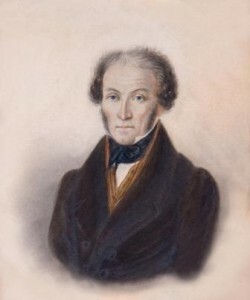 Early in the 21st Century, but after Herr Zantke’s publication, a significant amount of new archive material (see The “Lost” Ledgers) was discovered. Pages here describe that material and how we use it to supply certificates (Link) and copies of ledger entries (Link).to owners, dealers and auction houses. Recently (August 2013) we have been able to compile more extensive lists of the company’s customers (Link) and of their employees and local outworkers (Link). In 1922 Louis-Benjamin’s grandson (my great-grandfather) wrote a memoir of the history of the company. I translated his account as “The Story of Louis Audemars & Cie” published in 2013, but now out of print. A booklet detailing the approximately 8750 now known watch and movement serial numbers (Link) is available and can be ordered though our contact page (Link). One thing may disappoint. If you are looking for material about the illustrious watchmaking company Audemars-Piguet (“AP”) you will find nothing. AP was co-founded in 1875 by a member of a collateral branch of the same family (Louis Audemars-Valette’s second cousin). There was never, as far as I am aware, any connection – corporate or otherwise – between AP and any business operated by our branch of the Audemars family. AP flourishes today in the same village and they still make some of the world’s most beautiful and complicated timepieces. Thank you for your visit to this site. I look forward to hearing from you.